Maldives presidential election 2018, more mirage than real? Parliamentarian Abdulla Sinan (far left), Chief Justice Abdulla Saeed (second from left), former president Maumoon Abdul Gayoom (center), top-court judge Ali Hameed (second from right) and lawmaker Ahmed Faris Maumoon (far right). Key members involved in coup plot. One can never be to certain or sure about the probable or improbable outcomes from Maldives politicians. They never fail to surprise the public with their sensational statements, side-switches or reversal of fealty to whichever side favored them. While the island nation has been at throes of fresh political decadence since the unexpected 'hammer-slam' from the apex court on February 1 ordering immediate release of nine high-profile political dissidents which included former president Mohamed Nasheed as well as the second vice-president of incumbent president Abdulla Yameen Abdul Gayoom's administration; Ahmed Adeeb Abdul Ghafoor. Furthermore the Supreme Court of Maldives had also announced the annulment of the anti-defection law on the same night; which would have meant reinstatement of a dozen lawmakers who were unceremoniously 'evicted' from their seats for their earlier 'betrayal' for swapping sides. The sudden victory for opposition was short-lived as the incumbent president wasted no time in running down all options at his disposal which finally culminated with the masterstroke of a state of emergency proclaimed on February 5 suspending as many as 20 constitutional rights and several judicature rights; which included the Criminal Procedure Act. Following this the Maldives head of state utilized the country's security forces to apprehended the apparent masterminds behind what was arguably a direct attempt to overthrow his administration. 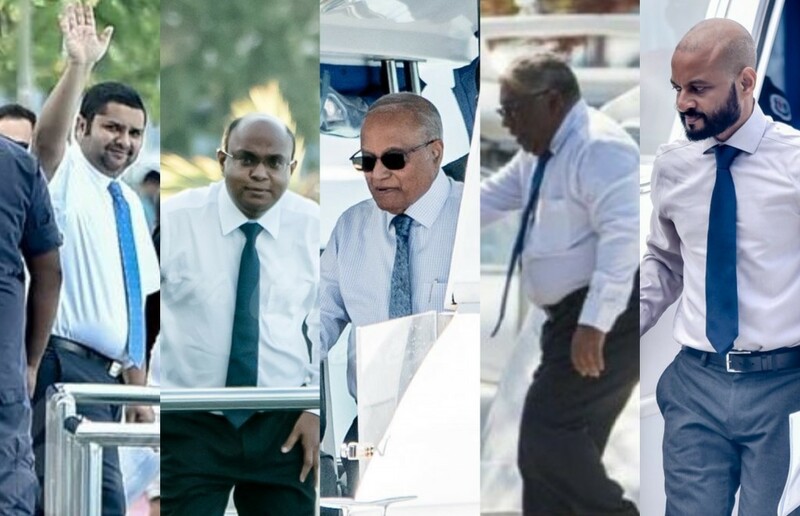 The pioneers of the said coup were revealed in former president of Maldives Maumoon Abdul Gayoom, Abdulla Yameen's half-brother as well as the Chief Justice of Maldives Abdulla Saeed and top-court judge Ali Hameed. Even the Judicial Administrator did not escape the hands of the current regime's grips since he too was thrown behind bars for his alleged involvement in the conspiracy. President Abdulla Yameen has long been accused of 'surgically' removing anyone who posed a threat to his chance at the 'throne'; given he is already sitting in the top-office. Anyone who had a strong dissenting voice was meticulously 'ripped' from authority or from their respective path that may eventually converge with a run for president's office in 2018. 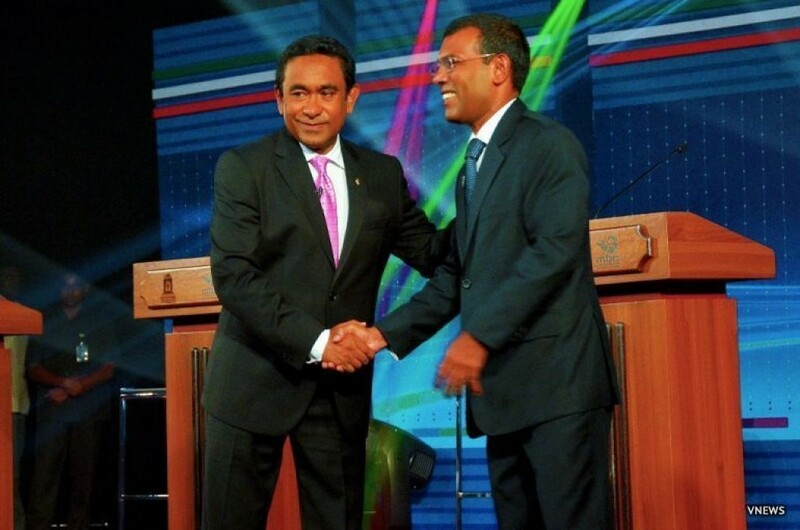 While many believed that the opposition had attempted to avert an autocratic grip in the Maldives governance in order to provide a narrow leeway for them to place their respective candidates for the upcoming presidential election through a devious hand-shake with the chief justice and top-court judge; the ruling party and the state claims this was an act of terrorism and a direct attempt to usurp president Yameen from his duties. It all started off with several key opposition members finding their final venue at the corner of a dreaded jail cell during the early years of Yameen's administration. This had included former Defense Minister Colonel (retired) Mohamed Nazim getting jailed for possession of weapons and arms; which through the use of government string-pulled media was translated to acts of terrorism as well, but vaguely thin lines of it. Former president Mohamed Nasheed was apprehended, locked, tried and finally convicted of terrorism for the offense of kidnapping a court judge. He was sentenced with a 13 year serve-time. Adaalath Party leader Sheikh Imran Abdulla was tossed into a cell for his involvement in the infamous May-Day protest. Once a close friend, ally and confidante of Abdulla Yameen, Ahmed Adeeb shot to fame and popularity almost out of the blue and went on to achieve vice-president status before he too had to find abode in a rotting cell. He was found guilty for his involvement in the bombing of president's speedboat back in 2015. Before he was 'eliminated' from the Maldives political field, it was widely believed that Ahmed Adeeb would in fact be the successor of Abdulla Yameen as the next president of the island nation and was coveted as the best possible contender for elections. His influence and grip in the local politics granted him the infamous nickname 'bro' which was fashionably and respectfully used by many a politicians to curry favor or show allegiance. All was said and done and when it felt like no one else was headed behind bars Jumhoory Party leader and Villa Group founder Gasim Ibrahim made the cut; he was convicted of grafting parliamentarians during the no-confidence motion of parliament Speaker Abdulla Maseeh. The business tycoon is also accused of tax evasions from his businesses as well as outstanding settlements to the government which he vehemently denies. There's no surprise that the current president found luck at his side for not-so-obvious reasons and found many 'saving graces' that aided him to bolster his position as the island nation's president. Many accuse Abdulla Yameen of methodically removing his opponents from the political playing field and reducing them to prisoners rotting in jail-cells. 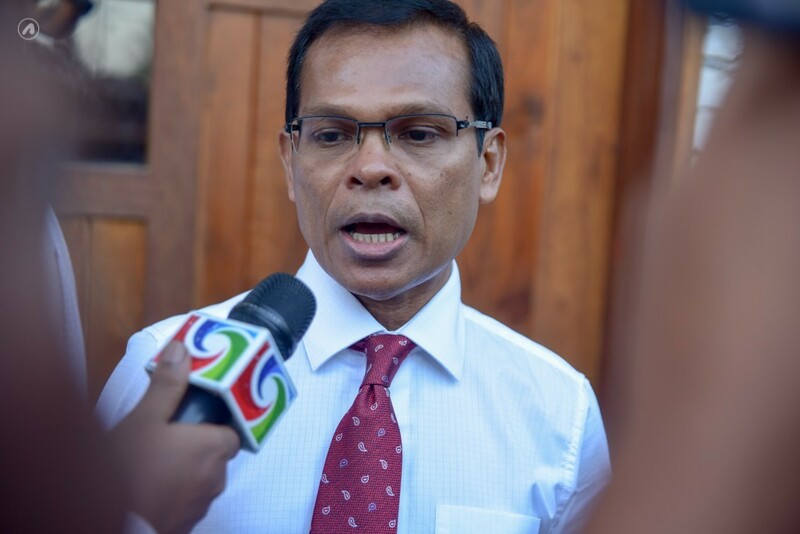 Parliament Speaker Abdulla Maseeh had called president Yameen a 'political genius.' His fealty to Pres. Yameen indicates political bias according to many. While the ruling party leadership claims they are open for a transparent presidential election and hopes as such; it appears that with almost all prime contenders currently quashed under the political rubble that is the prison the end-game may perhaps be something completely different. For a fair, transparent election with viable candidates to transpire first there needs to be contenders or candidates. So far there has been just one official announcement and there is no surprise that it is the current president running for a second term. Recently the parliament Speaker praised Abdulla Yameen, addressing the head of the state as a "political genius." Perhaps the genius was in finding cunning, coy methods to remove any opposing contender who may prove to constrict the chances for Yameen to take the president's seat once again. Roughly four months away and the opposition is still stiff from the current blow-out that lead to more of their leaders getting jailed leaving with less options to play with regarding the election. Right now the opposition claims they are waiting for a more ominous opportunity to reveal their mutually agreed single candidate as they fear an early revelation may lead to the individual getting jailed for trumped-charges. With consideration to all the events that transpired through the past four years, it can be argued that the current regime does not wish to release their grip from power and neither does its leader; president Yameen. While many from the public claim the current president had successfully managed to oppress the estates of the republic and bring all essential institutes under his iron-fist rule, including the country's electoral watchdog it would be only a matter of time before the citizens can ascertain whether an election is in fact due in 2018 or not. Even right now; to entrust an election would take place is still hoping for too much. As of right now it feels more like a mirage than real.